Stainless steel is a steel alloy that contains a minimum of 10.5% to 11% chromium content and a maximum of 1.2% carbon. It is made by melting elements together, typically iron ore, chromium, nickel, carbon, and others, and then casting the materials into a solid steel. The steel is passed through a series of forming machines, depending on the desired shape of the stainless steel, and then the material is annealed, descaled, and cut in the desired size. Before it is complete, surface finishes are added to make the material smooth and easy to clean. Steel alloys are considered stainless steel if the material has specified corrosion or oxidation resistant properties. Different grades of stainless steel offer different levels of corrosion resistance, depending on their chromium content. Alro Steel offers a wide selection of stainless steel grades to meet all of your application needs. Stainless steel does not readily corrode, rust or stain with water as ordinary steel does, but despite the name it is not fully stain-proof, most notably under low oxygen, high salinity, or poor circulation environments. It is also called corrosion-resistant steel or CRES when the alloy type and grade are not detailed, particularly in the aviation industry. Stainless steel differs from carbon steel by the amount of chromium present. Unprotected carbon steel rusts readily when exposed to air and moisture. This iron oxide film (the rust) is active and accelerates corrosion by forming more iron oxide, and due to the greater volume of the iron oxide this tends to flake and fall away. 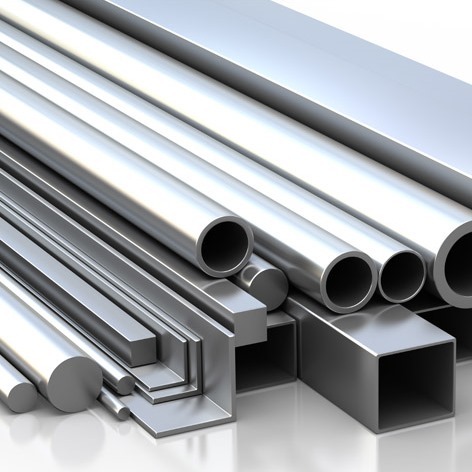 Stainless steels contain sufficient chromium to form a passive film of chromium oxide, which prevents further surface corrosion and blocks corrosion from spreading into the metal's internal structure, and due to the similar size of the steel and oxide ions they bond very strongly and remain attached to the surface. Alro Steel offers a variety of stainless steel grades that are perfect for any of your unique applications. We have over 60 locations in 12 states that can provide you with fast delivery and excellent service. To learn more about our material, contact us today or request a quote.